There was with some curiosity I headed for Friends of the Earth Europe’s Annual General Meeting on my search for an answer on the question: Where is the environmental movement heading? The FOEE AGM took place in a ”Small little town in Germany”. This small town still had a lot of memories from the cold war as it was placed just at the old border to the Federal Republic of Germany (BRD) on the Peoples Democractic Germany side (DDR). As many small towns in the east not in the frontline during the war very little have changed since some century ago. The economic development have been slow and thus few new houses have been built. Some of the old houses are renovated while many are warned and yet gives a character for a foreigner to the place. The town is called Lenzen not far from Wittenberge in North Eastern Germany. It is close to the river Elbe. 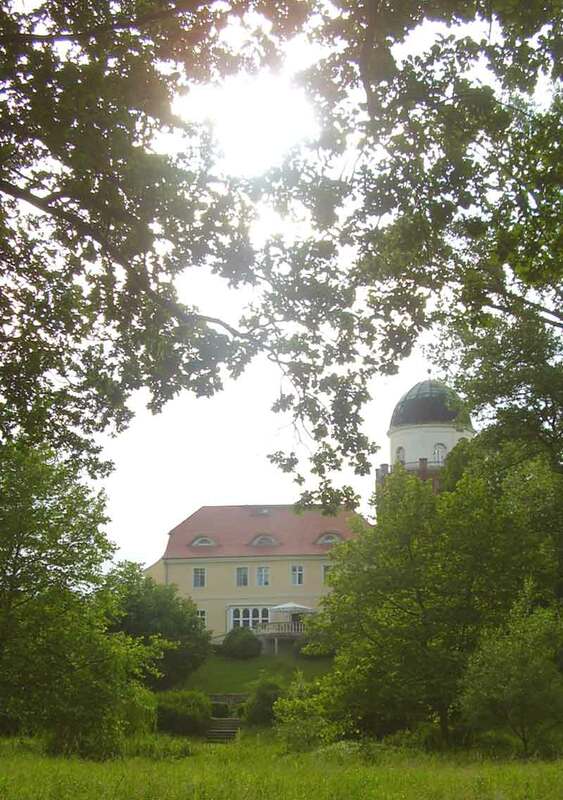 Here BUND, Federation for the protection of environment and nature in Germany, a FoE member group with some 400 000 members have received a castle as a gift. It was given back to the old owners after the reunification of Germany and the owners than gave it to BUND. It is a small castle, well suited for courses and excursions in the environs. One of the great pleasures of being an environmental activist is that every time now and than at meetings one can get out to have a look at birds, take a swim or just walk around enjoying nature. Lenzen gave a lot of these possibilities combined with walks through the small town and a visit to the old watch tower were the DDR police was supposed to stop people from fleeing to the West. It seemed a distant passed when we strolled along bicycle paths and looked at many Storks and people enjoying life in the open fields. When I arrived I was alone from Sweden but the day after Hanna came as well. I only had met here briefly once. She is a member of the board and have studied the external effects of consumption in Sweden and the need for included this in our estimation of what Sweden consumes. It was good to be two at the meeting finding out what was going on and sharing some thoughts of the differences between Sweden and some other countries. We both were quite amused by the way some talked about members of FoE groups as grassroots and them, as if not the members are the basis of the FoE groups and those that democratically decide upon strategy and which direction they want the movement to go. Of course we in FoE Sweden have groups working with specialist issues as making qualified reports on specific subjects and of course we alos take direct contacts with politicians. We are even sometimes pointed at as inventers of modern lobbying in Sweden which can be seen as somewhat overestimating our role but anyway we are not unconscious about what is presented as new ways of doing politics. But at the same time we see the communication and acting together as people in common as the basis for our work. Thus how to make a specialist report accessible and used by people in common is something we see as quite obvious, and people in common are not them, we are one of them. In general FoE groups are fairly small with as in Sweden 2 500 members but some are big like in Switzerland, Germany, UK and the Netherlands. In Sweden as in many countries we have to heavily rely on volunteer work and lay activists do much of the qualified work as we in total only can have 2 ½ person employed. In other countries the situation is quite different. The main task we had at the AGM was to decide upon a four year strategic plan for the first time in the history of FOEE. It had been prepared it was stated with a lot of effort by the staff and with consultation f all interested FoE groups. It was a hard work we understood, but the what had been so hard in finding out the political content in the strategic plan was not presented. What was important was that the process had been formally correct which I am quite for certain that it had been. But to shortly address the main political obstacles and the solutions to these obstacles and thus also motivate us the see the political importance of the document was not part of the culture at this meeting. In general though there were a great deal focus on issues building strategic alliances as the food security question. Here cooperation with Via Campesina have been important. Climate Justice was also an important part of the strategic plan including many social aspects although the criticism of false solutions in the climate negotiations are a lot stronger and more developed than notions on a constructive program that could solve both the environmental and social crisis. It is quite clear that those radical anticapitalist activists in England accusing FOE EWNI (England, Northern Ireland and Wales) from being two separate fractions in one organization is not correct on this field. There is a vital radical discussion among many FOE groups both among lay activists, staff and elected boards on climate justice which makes such a judgement misleading.